Posted on September 16, 2017 by Ace Indoor Golf. 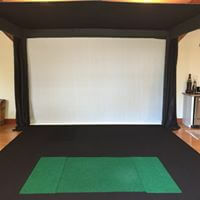 When the owners of the beautiful and serene Chalk Hill Winery in Sonoma County, California, called Ace Indoor Golf to purchase and install a new simulator in a room they had ear-marked specifically for entertainment, we jumped at the opportunity! 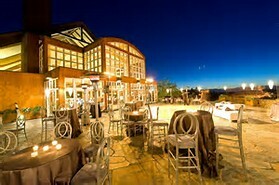 Not only were we about to add to the beauty of their venue with one of our gorgeous, custom-designed sims, but we would also get to take a trip to the stunning climes and drop-dead gorgeous vistas of the foothills of Northern California’s Mayacamas Mountain Range that divides Napa and Sonoma Counties! Needless to say it did not take much arm-twisting to make that flight reservation. 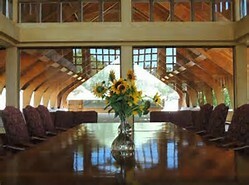 . .
Chalk Hill Winery, located not far from the magnificent and crystalline Russian River (ed. Note – a river that took my childhood imagination adrift many a time while floating on a rubber tire under the hot summer sun. . .), was first considered a prime location for grape-growing in 1972, when Fred Furth, Chalk Hill’s founder, caught his first view of a natural amphitheatre carved into the hills of eastern Sonoma. 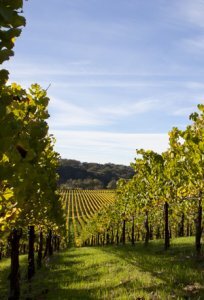 Mr. Furth had a great sense of intuition, because from his bird’s eye view, he felt the land had the potential to support a world-class vineyard. 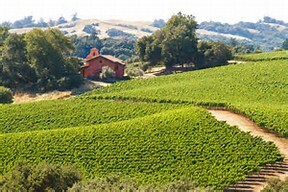 After touring the area on the ground, he confirmed that the spectacular property had both the climate and soils to grow luxury-class wine grapes. 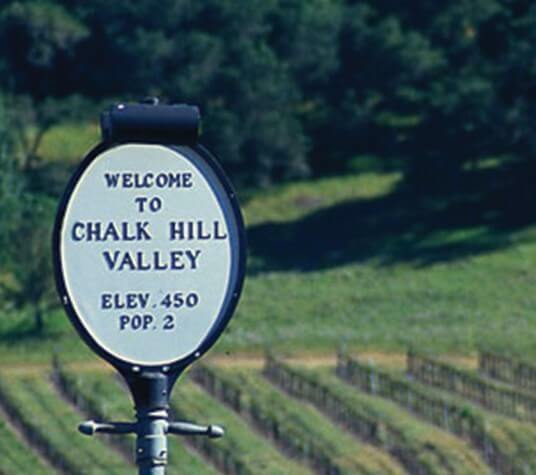 Today, the Chalk Hill Estate is one of the most spell-binding wineries in the world. The winery offers extraordinary scenery, a sense of serenity and seclusion, cooling maritime breezes, and a providential climate for wine grapes. 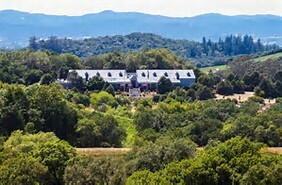 More than 1,300 acres are devoted to vineyards, a winery, hospitality center, culinary garden, residence, stables, equestrian pavilion, sports fields, fishing and swimming ponds, guest houses and expansive wilderness areas. As for the simulator room itself, the wooden beams on the walls and ceiling gave the space a very distinctive ‘old world’ flavor, which made it a particular challenge of feng shui to install a modern gaming system into a classic post-modern California setting. But our team of experts found a way of making the simulator not only compatible with the room dynamics, but also like it belonged there all along. Ace Indoor Golf can make nearly any location an exciting and entertaining golf simulator room. In addition to club play, we offer a wide variety of sports including baseball, basketball, hockey, soccer, rugby, football, and more! Also, our newest addition is quite possibly our most popular yet – shooting games of skill – featuring hunting, arcade games, zombie and more. When it came time to think seriously about investing in a golf simulator, Chalk Hill Estate knew exactly who to contact – the professionals at Ace Indoor Golf – to combine majestic design with modern technology. Creating the perfect balance of flavors which no connoisseur (golfer or sommelier) is able to resist! A sheer wonder of architectural beauty! The screen is set up. . .
Voila! The finished product! Magnifique! One last look before we leave. And good night from Chalk Hill Winery.